In this chapter we describe silica precipitation using unmodified synthetic R5 polypeptide—a nineteen amino acid sequence corresponding to the homologous repeating sequence in silaffin-1A protein extracted from diatom C. fusiformis. The particle formation was investigated using modern materials characterization methods, namely AFM, SEM and EDS. It was found that silica particles of sizes ∼150–200 nm were produced and that they formed aggregates. Furthermore, we propose that the R5 polypeptide self-organizes in solution and catalyzes and scaffolds the silica formation in vitro. 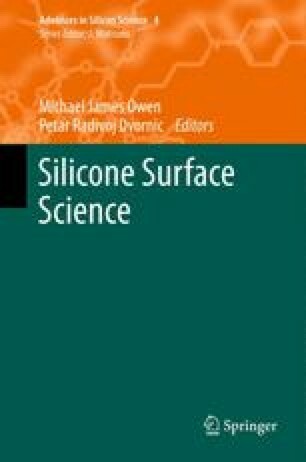 We believe that silaffin proteins and other proteins facilitating silica formation in vivo behave in a similar fashion and this may provide insights into the role of proteins in biosilicification. We thank Dr. Srinivas Subramaniam (CME, UC) for help with the SEM analysis. The financial support for the work described in this chapter was kindly provided by DAGSI.